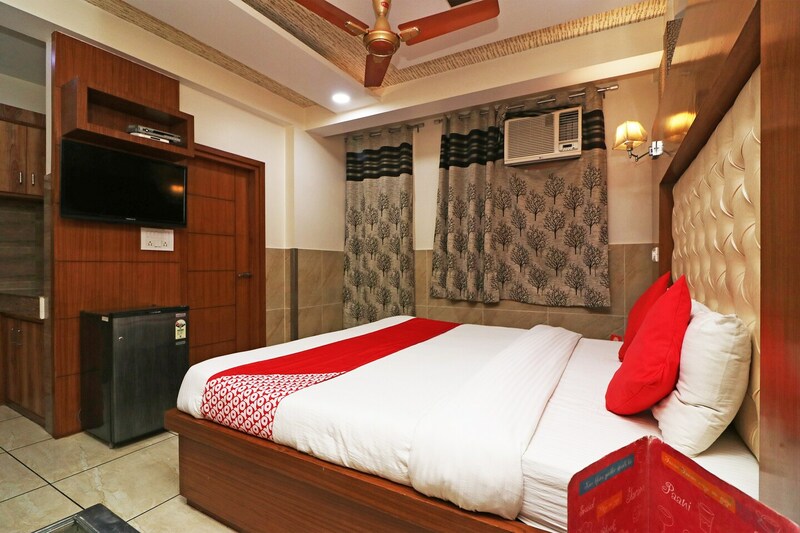 Hotel Hira Palace is a cosy and trendy property located in Chauhan Market, in the Sarita Vihar area of New Delhi. It is close to Netaji Subhash Sports Complex and Jasola District Park. The hotel has an elevator on the premises for the comfort of guests. The rooms here are spacious and done up in warm tones. The furniture is modern, and beds have plush headboards. The rooms also have a window seat where guests can read and relax. The bathrooms are clean and trendy. The rooms are equipped with facilities like TV, AC, mini fridge, and free Wi-Fi. The bathrooms have geysers. The other facilities include power backup and card payment facility. There are numerous eateries near the property. Restaurants like Pu Shangs Kitchen, Behrouz Biryani and Firangi Bake are quite popular. Main markets of Jasola and Sarita Vihar are also close to the hotel.